This is Upper Belmont Mill. 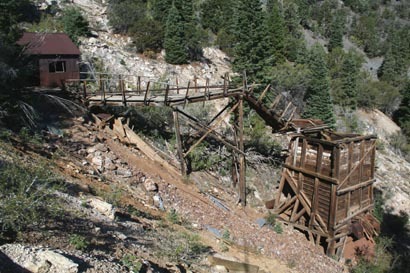 It is located several miles up the canyon from Lower Belmont Mill. Everything up here is built on a hill. Flat ground is rare. 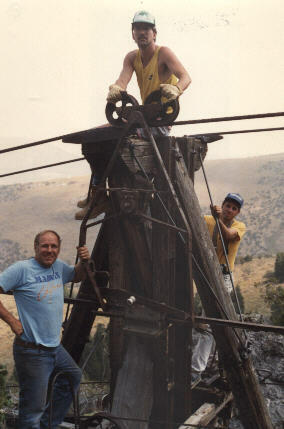 A complete second crew lived and worked at this higher elevation. 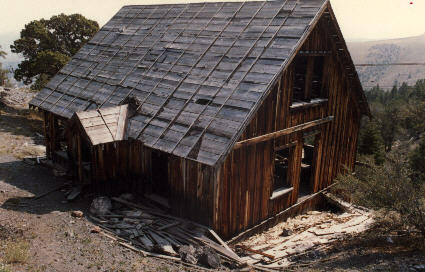 Although this area is not really a mill, we have chosen to call it "Upper Belmont Mill" due to its connection with the actual mill. 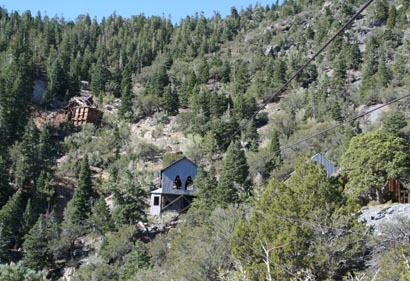 The tram system was built to transport ore from the mines located at this higher elevation, down the mountain to the mill below. Weight from heavy snowfall has collapsed many of the weaker buildings. 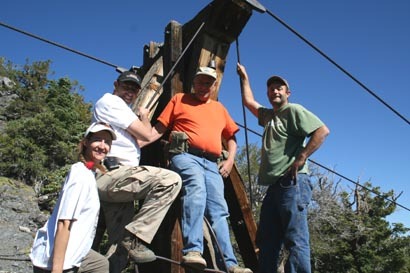 The stronger ones, such as the tram building, should last for years. Upper Belmont Mill is extremely difficult to get to. A steep, rocky climb on a narrow "trail" just a few inches wider than our Cheap Jeep is the only way up. Steep cliffs rise on one side while sheer drops descend on the other side. At the top, the "flat" area is just barely big enough to turn the Cheap Jeep around. We must hike to all the buildings. Since we had everything we needed for an ideal camp site at the lower mill, we chose to camp there. 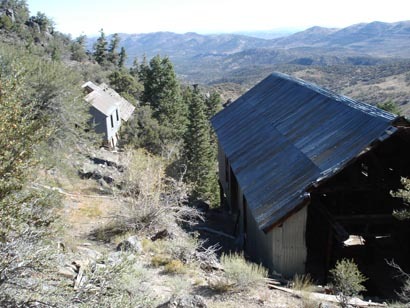 Both locations are featured on our video, GHOST TOWN TRAVELS.